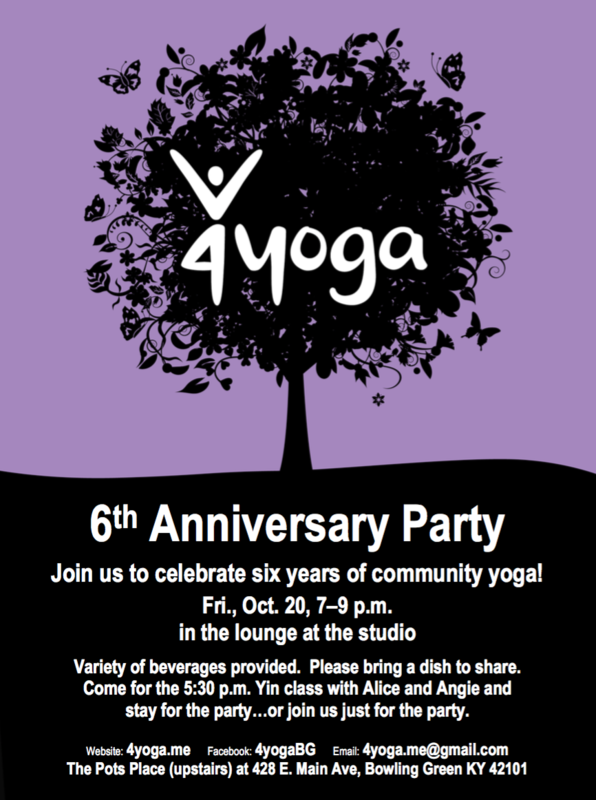 On Friday evening, we are gathering to mark six years of 4yoga! Whether you have been with us from the first class at Dance Images, back on September 27, 2011, or just joined us recently, we hope you can attend and celebrate with the members of our yoga community. This entry was posted in party, schedule and tagged anniversary, potluck. Bookmark the permalink.